Keeping an eye on autism and giving a voice to its Long Island community. Tomorrow’s conversation details an exciting event in support of Autism Speaks that will be held at the newly renovated Patchogue Theater. On Monday, May 13th, Eastern Suffolk BOCES staff, parents, and students will be supporting the organization by raising funds for research and awareness. DDI is committed to promoting educational services and events that transform lives. This event promises to be one such event! The extravaganza features notable and award-winning talent in theatre, music, acrobatics, dance, illusionists and more! Tune in for tomorrow’s broadcast – and be sure to secure your place at the theater! 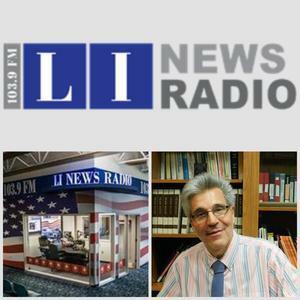 Heard every Saturday at 10:00 am on LI News Radio 103.9, ‘DDI on Autism’ is a 30-minute show that shares and explores all relevant issues related to Autism Spectrum Disorder. It is dedicated to the thousands of people on Long Island who live and work with the condition on a daily basis. Join host Clinical Psychologist, Dr. Michael Romas, as he engages New York’s leading autism professionals in thought-provoking conversation to inspire, inform, and support families and individuals living with an autism spectrum disorder.